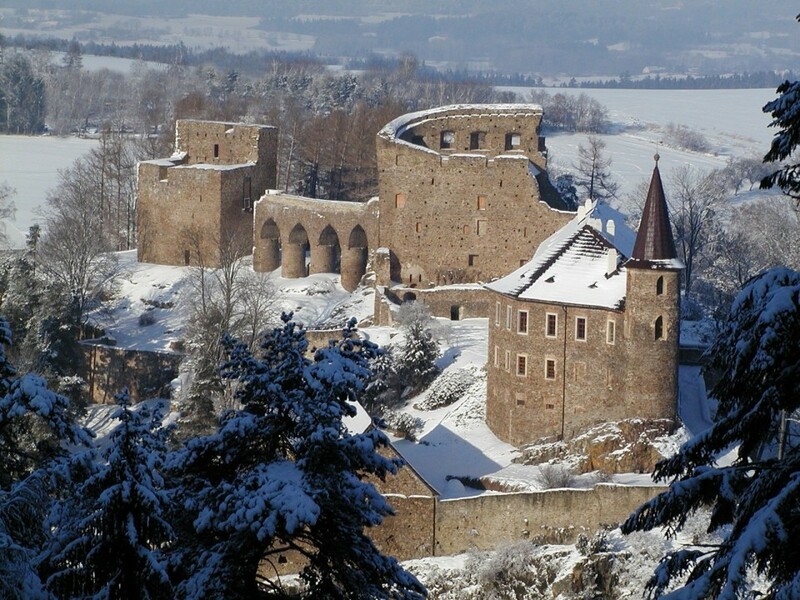 In the fifties there was a training of the border guards in the castle in Velhartice. The recruits went through several-month-lasting preparations for the duty in the border zone and a band gap. Josef Nedvěd was one of the thirty recruits who were placed to the cavalry of the border guard. The training was relatively difficult. “We were getting up at six o´clock and had warm-ups. 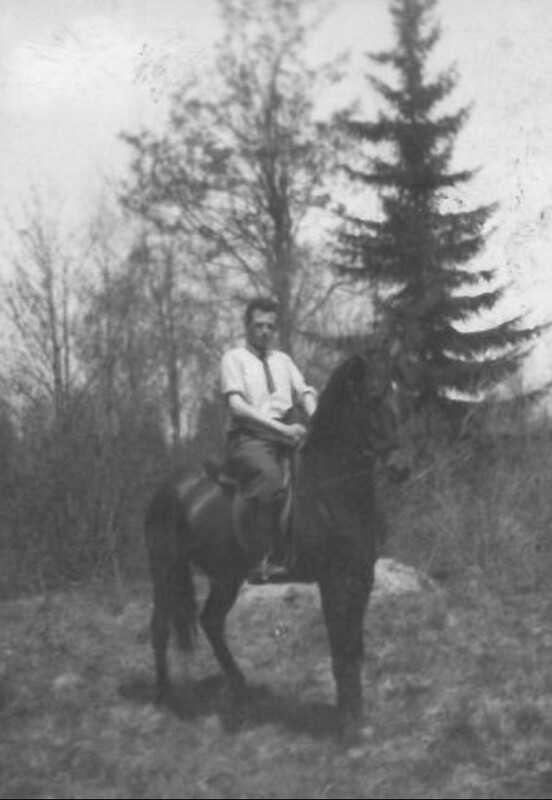 Then we went to the riding-school. They had Czech saddles that reminded big hard basins. So we were hopping on the saddles till our bums were covered with scabs. Then we went to the dormitories, folded our clothes and went to bed. As soon as we fell asleep they woke us up in thirty minutes and we went for walking training. They did it on purpose. And in the evening we had border training – ensuring the agents. And sometimes a night alarm at night. We also had medical check-ups. ‛Who cannot ride the horse?’ - ‛Me! Me!’ the boys shouted. So they put their pants off, slathered the scabs and, could ride again. Sometime the scabs peeled off. Well, some of the boys even cried.” After the training at the cavalry, the soldiers had permanent scars. 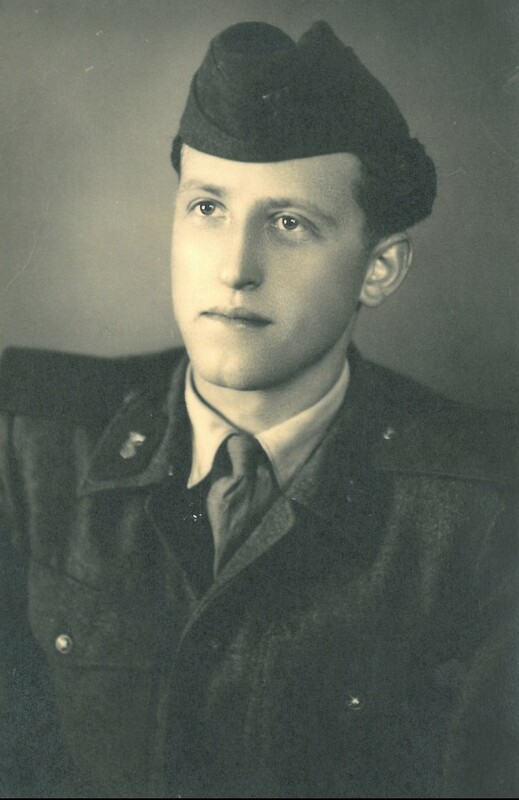 Common Soldier Josef Nedvěd was born on June 19, 1931 in Bohunice. During the war his sister was involuntarily employed in Kassel. After the Heydrich´s assassination he was a witness of an event when a German soldier did not report a found shotgun during the house search and so he saved his neighbour´s life. He also remembers the arrival of American and Soviet Armies who were looking for Germans in nearby woods. And it is said that they were shooting them. 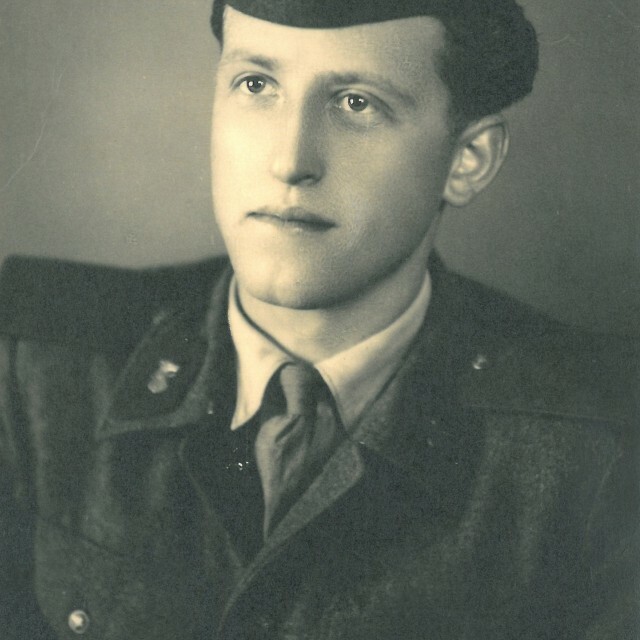 After the war in 1952 Nedvěd commenced the military service at the border guard. He went through the basic training in the castle in Velhartice and then was on duty on the borders. He also remembers that one of the border guards, private Řanda shot a young lieutenant and then he emigrated. The so-called engineer-technical security of the border was created during his service. 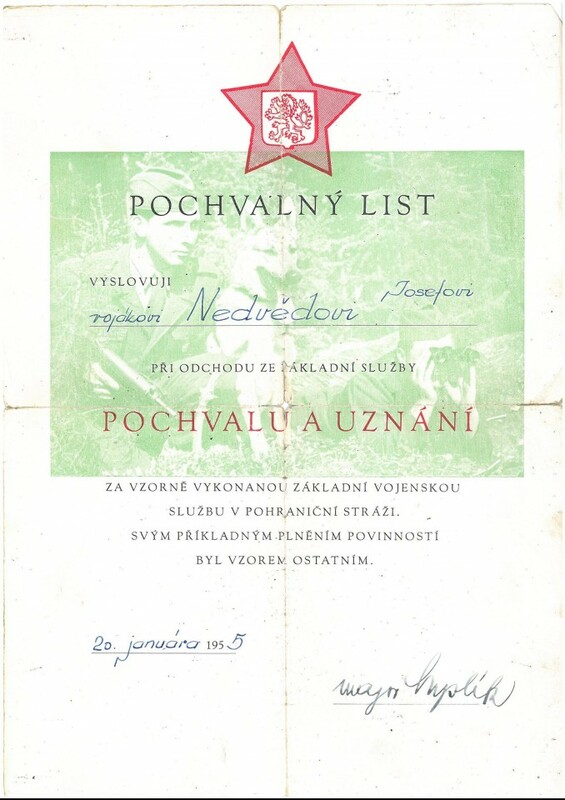 After the year of his service, Nedvěd was detached to Šamorín and helped there during the training of the dogs for the purposes of the border guards. And when the vet doctor was absent he helped instead of him. When he was going back home and was late because he went for the civilian clothes, they contacted the StB (State Security) because they thought he is about to cross the border illegally. He did his military service for two years and seven months. After the war he worked in the foundry. 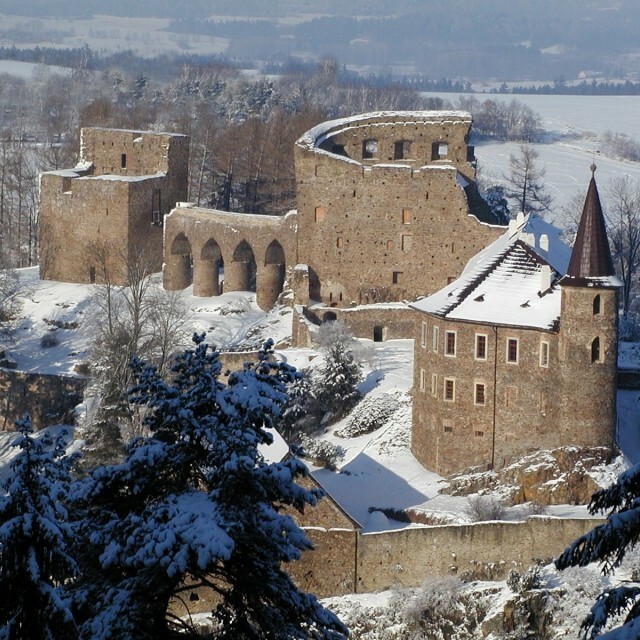 Velhartice is a medieval Gothic castle from the turn of the 13th and 14th centuries. Training military quarters of the Border Guard were based here in the 1950s.